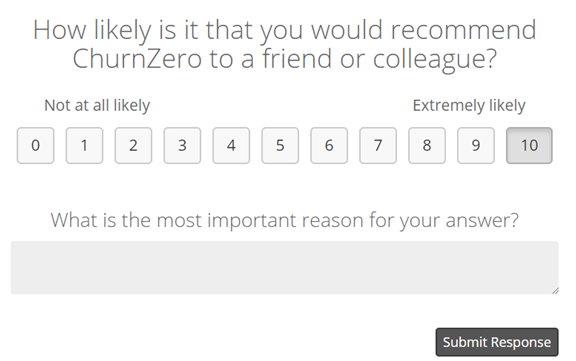 What is a Good Net Promoter Score & What Should We be Aiming for? Focusing only on the good Net Promoter Score itself can lead to frustration and can undermine the credibility of your customer support team. Let’s take a look at how we should really be thinking about how we stack up when it comes to NPS. So first, let’s acknowledge something that feels really obvious but often gets forgotten when talking about NPS. No matter what you do as a company, you cannot please everyone. Some of your Passives and Detractors will just simply never come around to giving you anything higher than an 8 on an NPS survey. The honest truth is that, as a company, you should be okay with that. Detractors come in many different varieties. Some are very pliable and only a few degrees away from being a happy customer. Others, for whatever reason, will never come around no matter what you do. For example, you could have a customer that gives you a poor NPS and also takes it a step further to post a negative review of your company online. Lucky for you, one of your loyal Promoters swoops in to fight for your brand, actively providing positive feedback and a recommendation to remediate their poor experience. This sequence of events could turn that vocally unhappy customer into your next Promoter if you are able to fix what was previously missing from their experience. Or as mentioned before there are just some customers that have a poor experience because there is a mismatch between needs and offerings, and unfortunately there’s not much that can be done about that. Sometimes it’s necessary to count your losses and let these bad fit customers churn. It’s in everyone’s best interest as they can be a drag on growth, a waste of resources, and harmful to employee morale and industry word-of-mouth. And if you think about it, a perfect NPS of 100 is actually a dangerous thing. It means you’d somehow have to effectively appeal to all customers – which is impossible. It’s a lovely idea but just doesn’t have a place in reality. Your focus needs to be on optimizing for those you could please. The other thing that we need to accept is that, by itself, the score is largely meaningless. If you are tracking the score just for the sake of doing it, STOP – you are wasting time and effort. NPS is an inherently jittery metric. There’s only a porous line keeping Passives from becoming Promoters or Detractors. That’s why we see many customer groups wasting a lot of time running around trying to explain small movements in their NPS, while their executives freak out about those small movements. Focusing only on the score itself can lead to frustration and can undermine the credibility of the Customer Success team. Let’s remember how NPS is calculated. When you survey your customers, you present them with a simple question – “How likely is it that you would recommend [your business] to a friend or colleague” and a 0 to 10 scale, with 0 representing “not at all likely” and 10 representing “extremely likely”. Then to get your NPS, you take the percentage of Promoters and subtract the percentage of Detractors. NPS will fall inside a range of -100 (all Detractors) and +100 (all Promoters). The formula tells us that anything higher than a 0 means that we have more Promoters than Detractors – which is what we want. So, at the most basic level, any positive number is good. And based on the global NPS standards, any score above 0 would be considered “good” (50 and above being excellent while 70 and above is considered “world class”). If you want more specificity, you can do some research on average NPS for your industry. It can also be a good idea to use your competitor’s score as a benchmark. You want to be watching your good Net Promoter Score overtime, understanding how it evolves, and hopefully improving it as you close those feedback loops from your customers, and start genuinely investing in the information that’s being given to you. And as you track your NPS, the best advice is to benchmark against yourself. If you’re not doing NPS just to get the score – in which case it really is just a vanity metric – then tracking your NPS over time and watching how it evolves and hopefully improves is the best thing you can do. Instead of setting NPS goals as a specific number, consider defining a target range. As a start, think about adopting a 3 to 5 point range around your ideal score. That way you avoid getting everyone in your company up in arms if you miss hitting a specific number, but only if you are experiencing periods of steep inclines or declines in the score. That way the jitteriness of NPS that we touched on earlier, becomes less disruptive in your company. Regardless of any of the shortcomings, still one of the main reasons NPS is so widely adopted is that it is considered an indicator of potential business growth. So as you start strategizing for the new year, maybe consider using NPS to make accurate predictions regarding future development. This way, you will know how to better allocate resources and manpower within your organization in the new year. Abby Hammer is the Vice President of Product at ChurnZero, which is a real-time Customer Success software. Abby is responsible for product strategy and execution. She also leads the Customer Success team who deliver customer implementations and work to drive adoption, engagement and expansion across the ChurnZero platform.